MEDICATION AS UNIQUE AS THE INDIVIDUAL. balance is essential for health and treatment. Care is our promise. health is our focus. Olive Tree Compounding Pharmacy helps patients optimize their quality of life by maximizing therapeutic success with creative and individualized compound medications. Our knowledgeable pharmacy team is continually applying the newest compounding technology to ensure our patients are getting the most advanced pharmaceutical care possible. Every ailment is unique, that’s why we tailor prescriptions to meet the needs of every patient. Do you have a hard time taking pills? Are your medications not palatable? Maybe you need a specific dose that is not commercially available, or your pet would enjoy his or her medication in the form of a flavored treat. No matter how complex your medicinal needs may be, our clever pharmacists are able to come up with individualized solutions for your unique requirements. We compound a variety of dosage forms including: topical creams/ointments/gels, suppositories, lollipops, troches, suspensions, flavoring, and much more. CUSTOMIZED, NON-STERILE MEDICATIONS FOR NEW MEXICO. Olive Tree Pharmacy is the only compounding pharmacy located in Rio Rancho, New Mexico, the “City of Vision.” Our pristine facility, located across from Presbyterian RUST Medical Center, is well equipped with the purest raw chemicals and finest lab equipment to produce specialized, non-sterile medications for families and pets throughout the state of New Mexico. 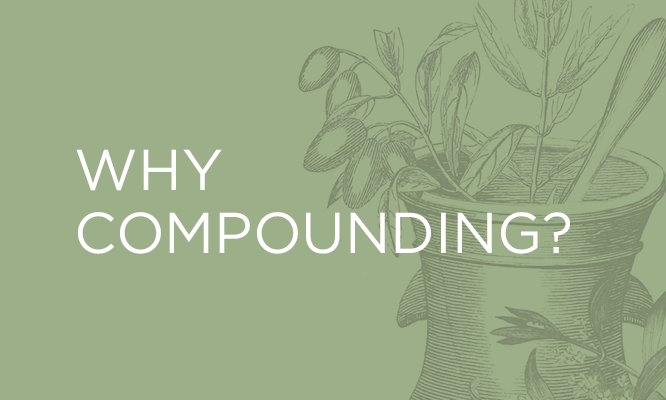 Our compounded products are an alternative to commercially available medications and are individually tailored to meet your specific needs.